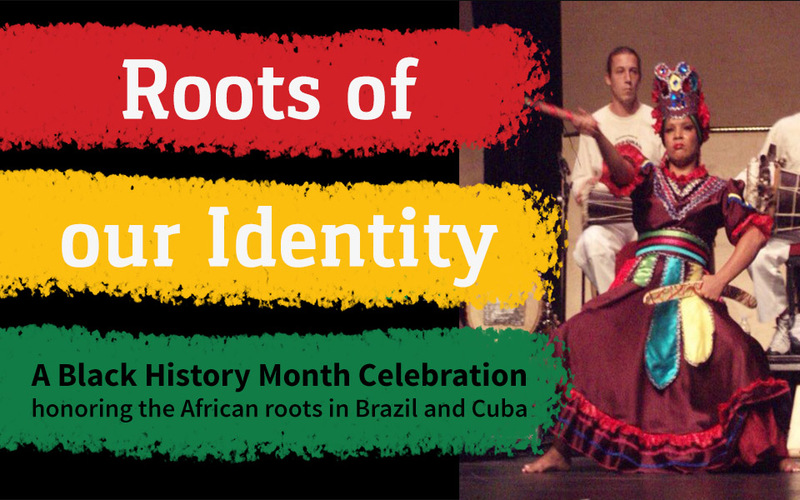 In celebration of Black History Month, we present a collaboration of dance, music, percussion and singing of the African roots in Brazil and Cuba. We have the participation of artists and masters who have dedicated their art to the development of Afro-Brazilian and Afro-Cuban rhythms and dances such as Scott Wardinsky, Kahlil Cummings, Rachel Hernandez, Erick Barberia and Freila Merencio. Through this work we’ll get to know the rhythms and dances of the Orishas (deities) that influenced these two countries. On Sunday there will be a dance performance with traditional costumes as well as a rumba with local musicians for everyone’s enjoyment. Please bring your skirts (sayas) for dancing and tumbadoras, if you have your own, for the percussion classes – we are short of instruments. Lunch on Saturday will consist of Cuban food for the enjoyment of all participants. Thanks to all community members involved, it’s a great opportunity to share knowledge with other artists who are dedicated to preserving African cultures in the U.S. We’ll see you then! 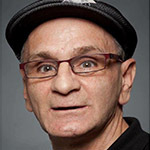 Scott Wardinky is a percussionist with over 40 years professional experience. He has spent years working with Cuban artists in performance and academic settings which provides him with a unique perspective. From his beginnings as a local NW musician to his decades long association with Los Munequitos de Matanzas as tour manager he has a wealth of experiences to share. His position at UCLA’s dept of World Arts and Cultures, (1999 – 2004) afforded him the opportunity to develop an integrated curriculum of Afro Cuban Music, Dance and Culture which his contributions will draw from. 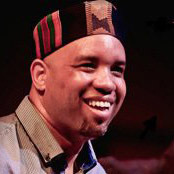 Kahlil Cummings, a Los Angeles native, is an acclaimed drummer, exceptional performer, composer, and educator. He has played with numerous reputable groups including Ballet Folclórico Do Brasil, Sona Sané, Abalayé, Mila Samba School, Inu Olorun, Debbie Allen Dance Company, Les Amazones, and Viver Brasil. Kahlil honed his rhythmic gifts with noted teachers including Mestre Amen Santo, Jose Ricardo Sousa, Kobla Ladzekpo, Esteban “Cha Cha” Bacallao (Ibae), and Sandy Perez. His studies in Guinea, Brazil, and Cuba have helped to widely broaden his knowledge and musical strength. However, he is most profoundly influenced by West African master drummer Mamady Keita, with whom he has studied since the age of 13. Kahlil helped start the group Balandugu Kan, which was sanctioned by Keita as representing “the voice of Balandugu” — the village where Keita was born. His compositions can be heard on his debut album Iniké Baba, recorded live in Guinea, West Africa. Currently Kahlil plays and tours with international recording artist Rocky Dawuni, and can be heard on the album Branches of the Same Tree, which earned a Grammy nomination for Best Reggae Album of the Year in 2016. He is now the musical director for Viver Brasil, Los Angeles’s premier Afro-Brazilian dance company. His latest musical project, Capofresh, a hypnotic blend of West African, Afro-Cuban, Brazilian and hip-hop rhythms fused with an LA sound is due out later this year. Erick Barberia, Cuban dancer, singer and percussionist, graduated from the Escuela Nacional de Artes (ENA) in Habana, Cuba. He began his professional career in the Artistic Community Company, Korimakao and subsequently became a master teacher of dancing, singing and Afro-Cuban percussion in both the ENA and the Escuela Internacional de las Artes (CENCEA) in Havana, Cuba. In the U.S. Erick has played and recorded music with many musical greats. El gran Sonero Fito Reinoso y su Ritmo y Harmonia, Master guitarist Freddy Clarke and his Wobbly World, Bass Player Victor Little, Master Percussionist John Santos, Latin Jazz Master Art Jackson, master flautist John Calloway, Lazaro Pedroso, scholar of the song and elder of the Yoruba-Lukumí tradition in Havana Cuba. In 2006, with his brother Dreiser Durruthy, Erick had the honor to record, in Cuba, with the great Chucho Valdes, creator of Irakere and again with Chucho’s sister, Mayra Caridad Valdes. Erick currently lives and works in the San Francisco Bay Area of California. Rachel Hernandez began her professional studies in Salvador, Bahia. She has had the privilege to study with landmark masters such as: Mestre King, Joffre Santos, Rosangela Silvestre, Vera Passos, Nildinha Fonseca, Matias Santiago, as well as at the Escola de Dança, Balé Folclórico da Bahia, and UFBA. She is skilled in Afro-Brazilian dance, Modern and Ballet. Rachel danced with Grupo Genisis, Elisio Pitta’s Balá da Mata, Fusion Dance Company, Ballet Santa Barbara, and in the legendary production Saurê. She works for the Children’s Creative project and LA’s BEST Program introducing Afro-Brazilian dance to scores of elementary school children. She currently performs with Viver Brasil and Ballet Folclórico do Brasil and has developed her signature Afro-Brazilian dance classes being taught throughout LA County. Rachel also studies the art of Capoeira under Mestre Amen Santos. She has been with Viver Brasil since 2009. Freila Merencio began her dancing career at the age of five. Born in Havana Cuba in 1971, she grew up in her grandfather’s house which doubled as a cultural center for performers and practitioners of various Afro-Cuban cultural traditions. It was here that she began performing the dance for the Afro-Cuban deity Ellegua. She began her professional career in 1990 with the folkloric group Raices Profundas, where she became a soloist and later chorographer. Her tenure with Raices took her throughout the island as well as tours to France, Germany, Japan, Sweden, Belgium, and Mexico. In addition to her time with Raices she worked with the highly popular rumba group Yoruba Andabo as a dancer and back-up singer. 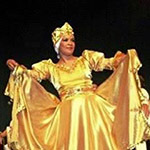 Freila is a sought-after teacher of most forms of Cuban dance from Folklore and Rumba to modern and popular. Since arriving in the United States, Freila has been living on the West Coast, where she has taught at Portland State Univ., Lewis and Clark College, Humboldt State University and UCLA. 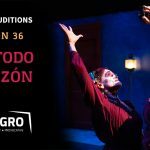 She has also choreographed in productions for Milagro in Portland and was the principal dancer in a Seattle production of “Vuelo Directo de La Habana a Seattle”. Freila is dedicated to passing on the treasures of her Afro-Cuban heritage with the same degree of integrity and quality with which they were given to her. She looks forward to learning from and collaborating with her colleagues in the U.S. and internationally.